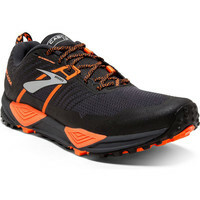 A great trail running shoe that will work on a mixture of terrains and is hybrid enough to protect you on the concrete roads you have to cover before you get to the trails. 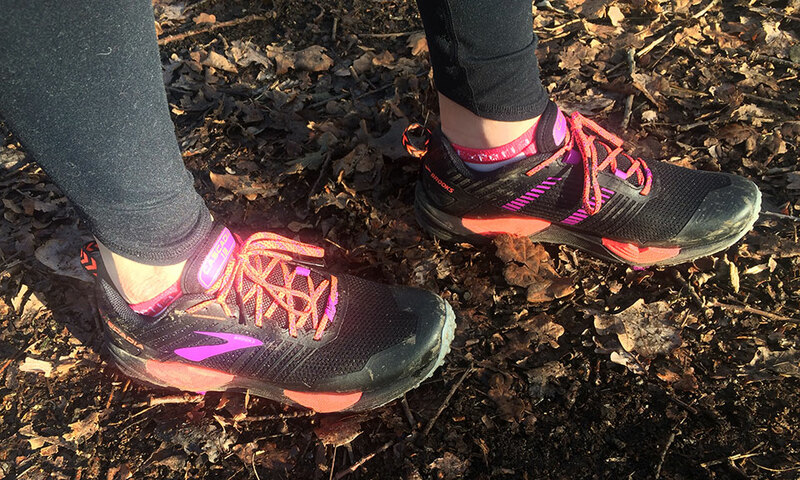 The water-hating mesh doesn’t soak up the puddles so you don’t get waterlogged feet, plus a moulded rubber mud guard round the base of the uppers which protects your feet from debris and keeps mud and water out to a degree, unless it hits you from the top of the foot or you sink into a deeper puddle / muddy bog. There’s also a nice tongue pad that feels great on the top of your feet, it too doesn’t hold onto water. 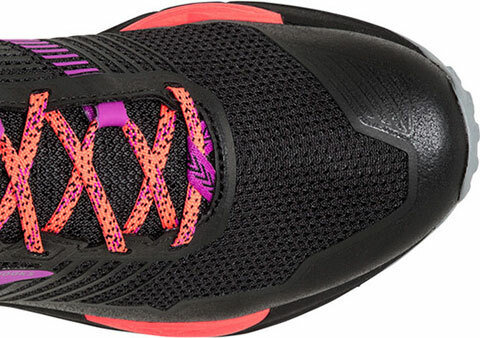 A noticeably softer Biomogo DNA shock absorbing midsole which is also responsive. 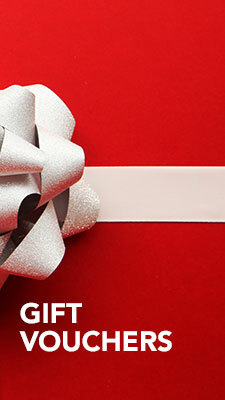 It cushions you but without denying you ground feel when you’re off-road. The Pivot Posting system basically makes this a stable neutral shoe, so most runners will be fine stability-wise in it. There’s also a rock plate. The lugs are varied in shape to give you a good combination of grip that will be effective on many trail / off-road terrains. Ina addition you’ve the best of both worlds when it comes to grip and durability: sticky rubber round the edge of the shoe for grip on wet rock (and pavement) and central rubber that is hard wearing and will grip well in the dry too. I’ll confess, I work in our London branch of Run and Become, so that’s where I live and that means not a whole heap of what my Scottish colleagues would call proper off-road running is easily available to me. 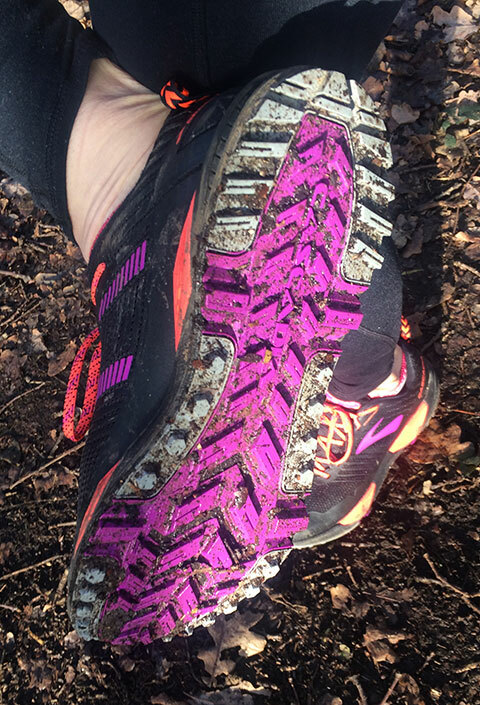 However, I’ve tested these Cascadia 13s on boggy commons and wet, muddy hills and I’m really happy with them. It also means I’ve tested them a lot on toe paths and a fair amount of road as I get to the trails. 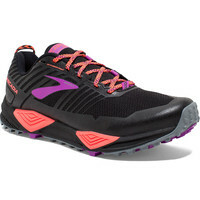 I’ve had two previous Cascadia versions and I can really feel the improvements Brooks have made with version 13. I tend not to care if my feet are wet but I still appreciate the efforts to keep them a touch more protected with these light but techie uppers that come at no cost to my comfort. The grip has given me confidence when it’s boggy underfoot, I have no complaints in this area at all. The main thing I appreciate is the change in the cushioning material. These are noticeably more comfortable on hard packed terrain (and roads) and even though I’ve done Half Marathons happily in Cascadia 12s I know I’ll be even happier in these. The key thing is that they are smoother and you feel less jarring but you’re not sinking into the cushioning and you don’t feel like you’re losing feedback when it’s very soft underfoot, that has really impressed me. 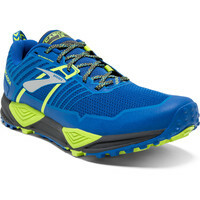 A significant improvement on previous Cascadia, Brooks have succeeded in getting the balance of cushioning and responsive ground feel just right – in my opinion. 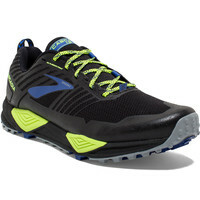 They are flexible, give a smooth ride, tough wearing on the uppers, and the grip is great. I’m loving them. Oh, and my Scottish colleagues really rate the shoe as well!